BOSTON, MA – February 22, 2017 – TRIA, a partner-led architecture firm with a focus on science and technology organizations bringing new discoveries to the market, is pleased to announce that Michelle Yack, NCIDQ, LEED AP, has joined the firm as a senior interior designer. Michelle brings a decade of award-winning experience in designing cutting-edge spaces. 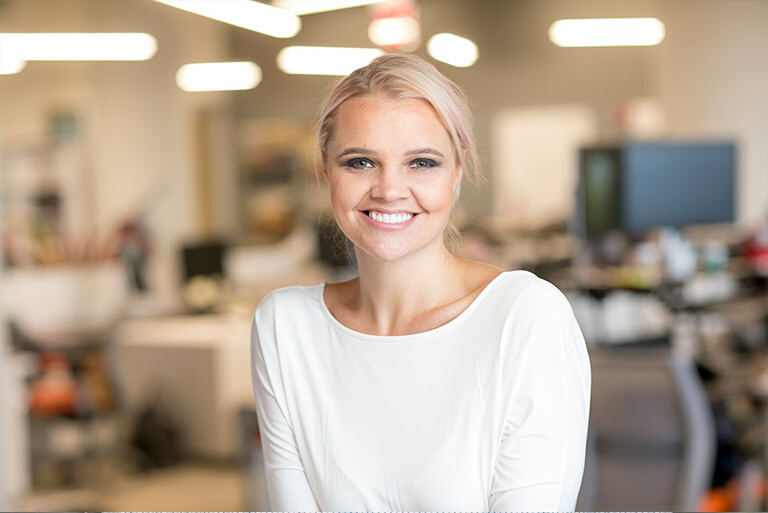 At TRIA, she will apply her holistic design approach to seamlessly integrate commercial interior design with lab design for the firm’s science and technology clients. Prior to joining TRIA, Michelle spent ten years designing functional yet beautiful corporate interior spaces for a variety of clients. Her portfolio spans corporate office, technology, research lab, legal, and academic projects. Michelle was the lead designer for an 80,000 SF office project that received a 2016 Best Office Design Award from IIDA New England. The same project also received a 2015 Boston Properties Excellence in Design Award. Michelle graduated valedictorian of her Master’s class at Boston Architectural College, receiving a Master of Arts in Interior Design as well as numerous awards including the Interior Design Thesis Commends Award, the Lussier Practice Achievement Award, and the Herbert Glassman Practice Award. She also earned a Bachelor of Science in Microbiology and Cellular Sciences from the University of Florida. Michelle’s professional certifications include NCIDQ and LEED AP distinctions. TRIA practices the science of architecture. We combine a deep understanding of the unique needs of science-based organizations with decades of experience constructing spaces and places that enable those organizations to meet their goals. Using a principal-driven approach, we partner closely with clients to enable business success and advance new discoveries, in the lab and across the organization. Visit us on the web at www.tria.design and connect with us on Twitter, LinkedIn, and Facebook.